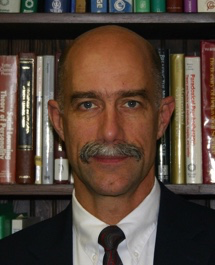 Dr. Dennis Johnston completed his doctoral training in Clinical Psychology at the University of Connecticut in Storrs. He then held a two-year Post-Doctoral Fellowship in Neuropsychology at the Institute of Living in Hartford. Since 1989, he has been providing psychological and neuropsychological services with Comprehensive Neuropsychological Services. Since 1992, he has also been on the staff at Hospital for Special Care in New Britain, Connecticut, where he is now the Assistant Chief of Psychology. Dr. Johnston provides diagnostic and treatment services to individuals, couples, families and groups. He specializes in the assessment and treatment of individuals with brain-related problems, such as acquired brain injury, dementia, stroke, learning disabilities, attention deficit disorder, etc. He provides rehabilitative psychotherapy for individuals and families who are coping with the consequences of various neurological conditions, especially acquired brain injury, and has extensive experience helping people with adjustment disorders or anxiety conditions. He has published articles or presented talks in his areas of expertise, and maintains a number of professional memberships. He is past-president of the Connecticut Neuropsychological Society. He enjoys leading a Brain Injury Association Support Group. In addition to his professional activities, he enjoys bicycling, singing, playing guitar, and traveling.